I recently sent an email out to about a quarter of my list. It went to people who had opened previous emails about my upcoming, five day retreat at Hollyhock. The situation that prompted the sales letter wasn’t great but I thought the sales letter was solid and, after receiving replies from a number of colleagues commending me on it, I thought it might be a worthy case study of a certain style of sales letter that I honestly hope you never have to use. I heard about this style of sales letter first from Jay Abraham. The headline, and core thrust of the sales letter was, “My Problem is Your Opportunity”. Here’s the unfortunate reality is business: not all of your offers are going to work out as you planned. That’s just how it is. Sometimes it will be because your offer wasn’t good and sometimes it will be due to factors outside of your control. 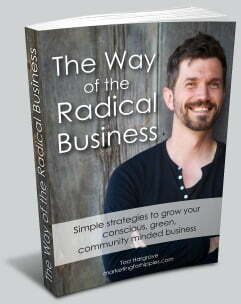 There will be times in your business where you find yourself a bit stuck. It can be easy, during those times, to want to just give up and throw in the towel. The provocative premise here is to look at whatever you’re problem is and ask yourself, “How could my problem be an opportunity for my clients?” You often don’t have to dig very deep to find it. And, once you find it, you tell your clients the honest truth of the situation and offer them a deal. And, if there’s a benefit to the clients, then that’s good for you. What if your problem was actually a chance to make some money where you thought there was none to be made and build goodwill and connection regardless? It could be that you’re a holistic practitioner who booked off two weeks to go on vacation but then a volcano erupted where you were going and you can’t get your money back because the hotel you already paid was swallowed by lava and you had to cancel the trip and now you’ve got two totally open weeks that you need to fill with clients pronto. That’s your problem and maybe it could become an opportunity for your clients when you offer a discount on those sessions because you’d rather make some money than nothing. Maybe you’re a furniture store who ordered in a bunch of new stock but then there was an illness in the family and you had to shut your business down and weren’t able to get rid of the old stock in time and the shipment of new things is coming in in a month but you don’t have room for it all so you need to get rid of the old stock. That’s your problem and maybe it’s an opportunity for your clients because it means you need to have a fire sale to get rid of stock at steeply discounted prices rather than paying to put it all in storage. If someone is going to benefit, why not your clients? Maybe you showed up in a town to lead a weekend workshop and, by the time you get there, no one has signed up at all but you do have 16 people coming to an intro. That’s your problem. And maybe it can be turned into an opportunity for your clients when you decide to not charge money for it but to offer the weekend on a pay what you can basis because you might as well make some money on your visit rather than nothing. So this is a fairly classic, “My Problem Is Your Opportunity” sales letter. I invite you to consider where in the past you might have used this and if there are any problems you’re experiencing right now for which this kind by an approach might be useful. In this introduction, I’m wanting to hook the reader. I’m about to tell them a story that may not seem relevant to them and that could lose them. I so I want to hook them with the promise of something I’ll come back to later that could be to their benefit. 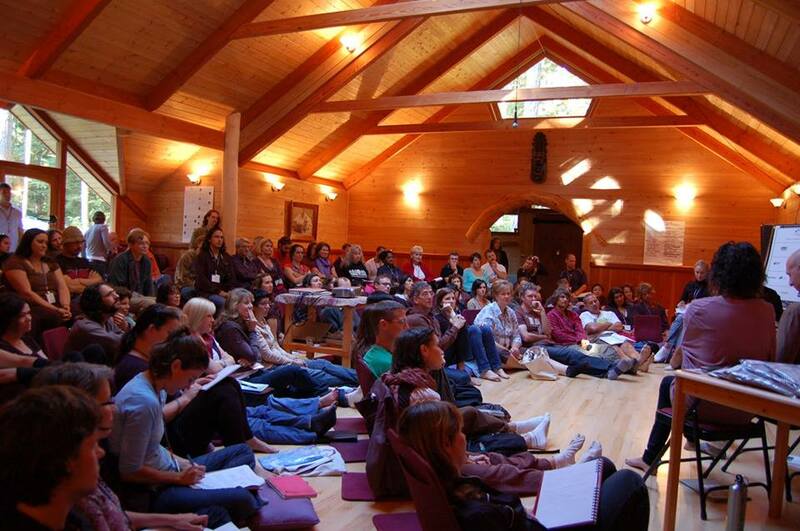 It’s about my retreat coming up at Hollyhock at the end of September. So, to be featured in the catalogue had a real feeling of having ‘made it’. My plan was to host a gathering of my favourite colleagues. I sent our a preliminary email and got excited responses of ‘of course we’ll come!’. So, the above is my best articulation of the problem. I’m a fan of telling things in a storied way. I could have said the above in a single sentence like, “My Hollyhock event isn’t filling up like I’d like.” but, for me, that doesn’t have the powerful, relatability or strength of a story. Whenever you can share honestly about a way you screwed up, misjudged something or made some mistake I recommend it. It doesn’t have you lose credibility. If you’re able to share it without shame and, ideally, with what you learned from it, you will not only gain credibility but, more importantly, connection with the reader. You’ll seem more human. Which will have people trust you more. It’s hard to trust someone who seems infallible. It’s hard to relate to them. If we lose sight of that central truth for too long, we will lose people. The main complaint I get for any workshop I do is that people wish it were longer and had less people in it so that they could get more individual attention. Of course, while that’s understandable, it’s not always feasible or sustainable on my end. But, in this case, it looks like it’s what is exactly what’s going to happen. You’ve wanted a massage but it was too much? You can finally afford it with this deal. You’ve wanted a new couch but couldn’t afford it? Now you can due to this sale. You’ve wanted to go to a marketing training but never had the money? Come to mine and pay whatever you want at the end. 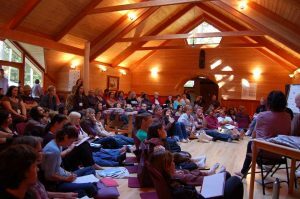 You’ve always wanted an intimate, small numbered retreat with a teacher you’ve admired for a while? Here’s your chance. In the above section I do something that I think it really important. I explain the benefits of the feature I just told them. The feature of this training is that it will have smaller numbers. But still, they’re sitting there thinking, “So what? What does that mean for me? How do I benefit from that?” And, as marketers, it’s easy to assume that it’s totally obvious what the benefits of a feature are. But that assumption is wrong. It’s our job to make that translation as capably and honestly as we can. It’s our job to help lift up what might be in it, selfishly, for them. It’s our job to help them see how the unique facets of our work could benefit their lives in a real and tangible way. Here’s how I plan to make it even better for you (and I can’t believe I’m offering this). If you come and join me at Hollyhock, you will also get a 60 minute, private coaching session with me. You would normally pay $300 for this. This coaching session can be used at any point in the future. This offer came to me in the writing of the letter and I honestly cringed at including it initially. But, when I sat with it, it felt right. And, if it made the offer compelling enough that even one or two more people signed up, it would be worth it. In this case, I couldn’t offer a discount. And a discount is not always the best way to go. Often times, it’s much better to offer some add on that will add value to the proposition for them without costing you too much. In my case, I went for the very generous end of giving my personal time. But, I could have offered a series of follow up group calls. Or a free product. In this case, the offer of one on one coaching time felt right because I know that I’ll fall in love with these folks by the end of the five days and I’ll be excited to catch up with them after. But, if you’re going to add something free as a bonus it’s vital that you give a reason why you’re doing it. Without a reason, people will devalue it in their mind. With a reason, the value can be maintained. Certainly people make up reasons that aren’t legitimate all the time but when you actually have a real reason to do so, by all means use it and share it. This may, legitimately, be a once in a lifetime opportunity. This felt important. To emphasize that this is legitimately likely to be a once in a lifetime situation. It’s rare in marketing that this is said with any candour. But, in this case, I actually get to say it and mean it. I didn’t realize the truth of it until I was writing this letter. If you ever get to say this yourself, I recommend it. It’s immensely satisfying. So that’s my big problem. I am hoping that you will take advantage of it. And there’s the call to action. Imagine having five days, in paradise, away from it all with a small but might group of perhaps ten entrepreneurs and finally having time to reflect on and do actually work on your business. This came to me to add when I let the letter sit for a few hours and came back to it (note: always let things sit for at least a few hours and, ideally, overnight before sending them out. You will always see more and make things better). What I’m doing above it doing my best to put them inside the experience. I’m trying to paint a sensory rich experience of what it will be like for them if they come. This is something I’ve written about in my blog post Tell Them A Story. Sometimes it’s really hard for people to picture what an experience might be like for them. It feels abstract and theoretical. If you can paint the picture and put them it that picture you help them better understand what it might be like. So, again: whenever you run into a problem as a business owner, ask yourself, “Where might this actually be an opportunity for myself as well as my customer?” You might be surprised with what you find. And try sending out an email like this and see what happens. The best case is that you get some more sales. The worst case is that you build some good will.